My Pacific Pearls is a family-owned company and a global leader in the pearl jewelry industry. We are a farm-direct supplier of pearls, sustainably sourced purely from the leading pearl farms of the Pacific. As an organization we take pride in, and have an exceptional reputation for passing on outstanding savings on high quality classic, contemporary, and unique pearl jewelry to pearl lovers across the World. Kristin from It’s Free At Last recently had the opportunity to review the White Pearls on Rhodium Silver Charm Bracelet. Be sure to check out her review. 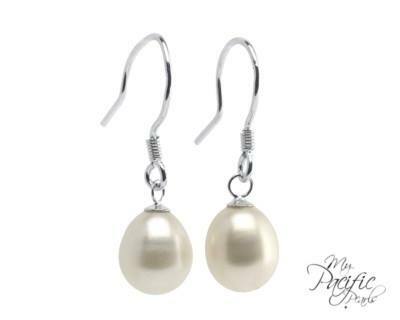 It’s Free At Last, along with an amazing group of bloogers, are sharing a giveaway for a beautiful pair of White Pearl Drop Earrings in 925 Sterling Silver ($125 Value). Giveaway will end on 11/22/13. Disclaimer: My Pacific Pearls is the sponsor of this giveaway and is responsible for prize fulfillment. The participating bloggers were not compensated for this post. We are not associated with any of the companies named above. No purchase is necessary to enter. Void where prohibited by law. The odds of winning are based on the number of entries received Open to the US 18+ only. Confirmed Winner(s) (by Random.org) will be contacted by email. Winner(s) have 24 hours to respond before a new winner is chosen. No purchase necessary. Void where prohibited by law. The sponsor(s) will be responsible for product shipment to winner(s) of this giveaway. My blog is not responsible for product shipment/delivery. This event is in no way administered, sponsored, or endorsed by, or associated with, Facebook and/or Twitter, Google, Pinterest, Instagram or Klout. This disclosure is done in accordance with the Federal Trade Commission 10 CFR, Part 255 Guides Concerning the Use of Endorsements. Entrants must only enter with either one email address, IP address and/or Facebook account, anyone found violating these rules will be disqualified. It is at the sole discretion of the admin of the giveaway if the winner has met the rules or not. It is sold out but I would like to add RINGGOLD ISLES COLLECTION – Golden and White Pearl Necklace and Earrings in 14K Gold. Black pearl drop earrings are beautiful! I like the Black Mother of Pearl Necklace. Those earrings are gorgeous. Great present for yourself. MARIA-THERESA REEF COLLECTION 9-10mm White Pearl Necklace with 14K White Gold Filled Clasp. I would want the maria theresa reef collection 9-10 mm peach princess pearl necklace. I love the White Pearls on Rhodium Silver Charm Bracelet. The tribal collection looks nice. Puraha Falls Collection – pink necklace and earring set in 18K white gold. I’d love the RINGGOLD ISLES COLLECTION – Golden and White Pearl Necklace and Earrings in 14K Gold. Beautiful! i love the PURAHA FALLS COLLECTION – Classic Black Necklace and Earrings in 18K White Gold Filled Setting. I love the black pearl drop earrings. I’ve always wanted to start a collection of black pearl jewelry. I would love to have the SULU SEA COLLECTION – 9.5-10.5mm Black and White Pearl Pendant in 925 Sterling Silver!! So many beautiful pieces…I especially like the lilac pearl stud earrings with Swarovski crystals. I like the MARIA-THERESA REEF COLLECTION – Peach Pearl Drop Earrings Set in 925 Sterling Silver. I love the EAST KALIMANTAN COLLECTION – Lilac Pendant, Ring, and Earring Set!!! So beautiful!! I would love to give my wife the 3-piece pearl set… the necklace, bracelet and earrings. I would LOVE the SAN ANDRES COLLECTION – Rare 1-2mm Pearl Necklace and Earrings! I like the San Andres collection. Yummy! I love to wear pearls. Elegant! FLINT ISLAND COLLECTION – 5-6mm Peach and White Necklace made with 500-550 Pearls. This one is gorgeous. I have never worn a necklace with such bulk and beauty. Thanks. Happy Holidays. I would love the LOYALTY ISLANDS COLLECTION – Black Pearls with Swarovski Crystal Twister Earrings. I would love to add the CAROLINE ISLANDS COLLECTION – 5-6mm Lilac Baroque Pearl Necklace and Bracelet to my collection. So many, but love this long coin pearl necklace. My favorite is the Pearl Drop earrings you’re offering..they’re beautiful…would also love the bracelet to match…the others are pretty too, but I like these the best…. the Giant Baroque 20-25mm Pearl Necklace and the entire south sea pearl collection – sooo gorgeous!